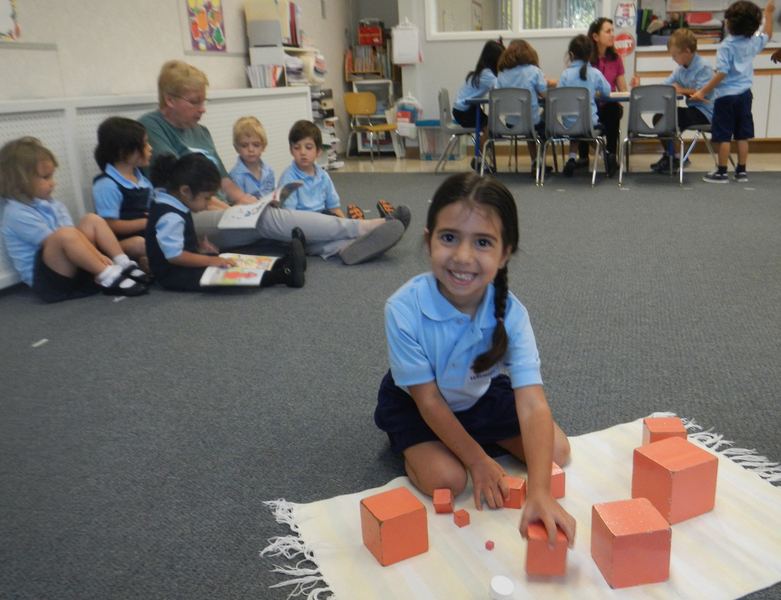 In the preschool classroom, the children learn concepts by working in individual or small/large groups with the different Montessori materials. 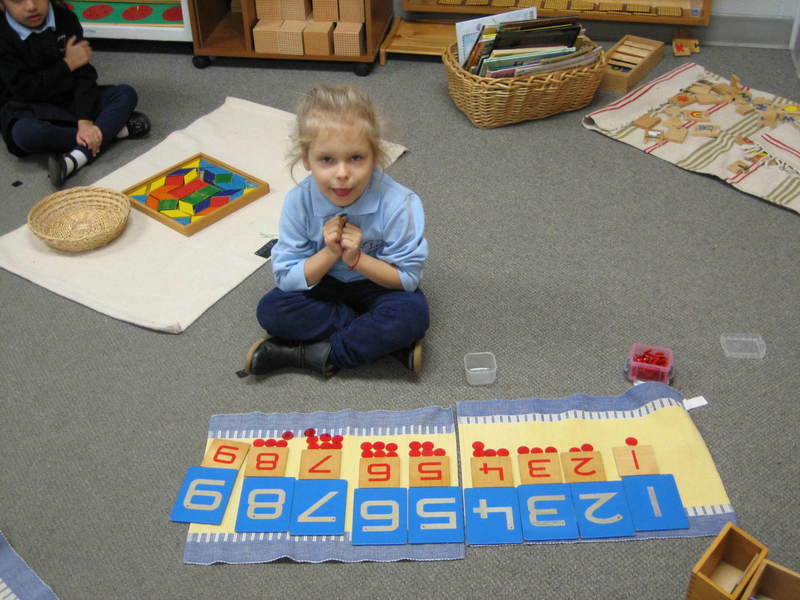 The materials and curriculum focus on Practical Life (daily living) Sensorial, Languge, Math, Geography, Science, Art, Music, Spanish and Computers. The Children interact continuously, choosing to work on a project together, where the older children help to teach the younger ones. They are guided by our knowledgeable staff to work to their fullest pontential in acquiring their academic and social skills. They are given opportunities to make choices, complete and clean up their work and use peaceful ways to solve their problems. Through this learning, they develop a sense of pride in their "work" a feeling of confidence. There is a feel of respect, love and cooperation among each other.